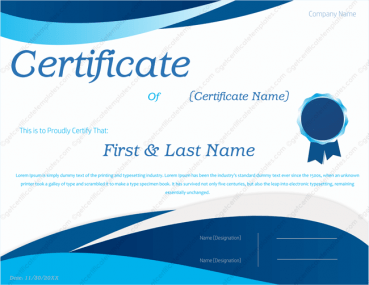 A simple award certificate can be enough in order to give praise to someone that definitely deserves it. 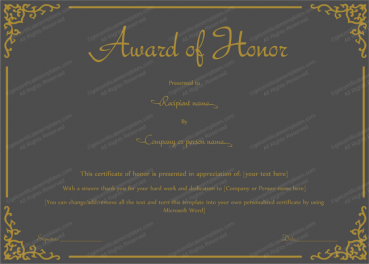 People work hard and deserve to be recognized for their hard work, especially when they work for you. 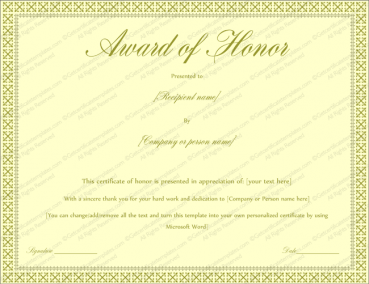 To show how much you appreciate their effort you should present them with this Dignified Award Certificate that we designed. 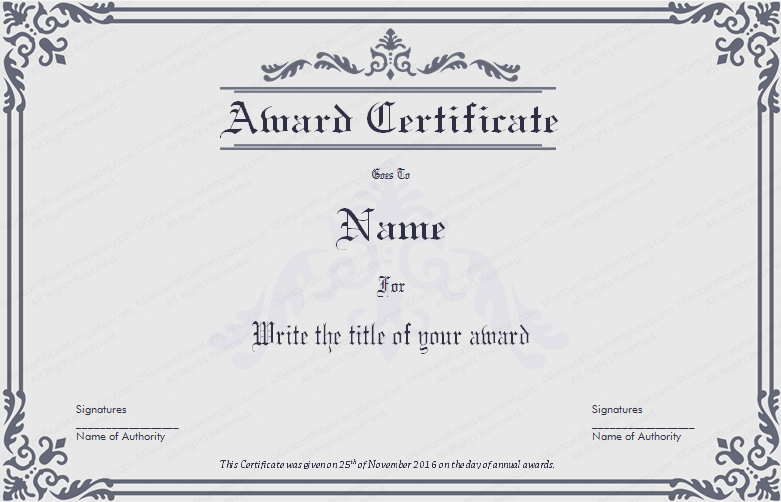 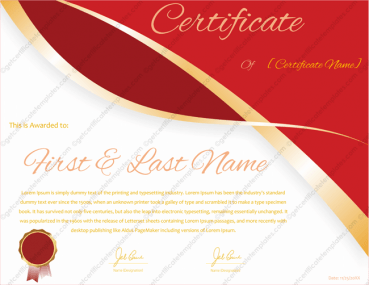 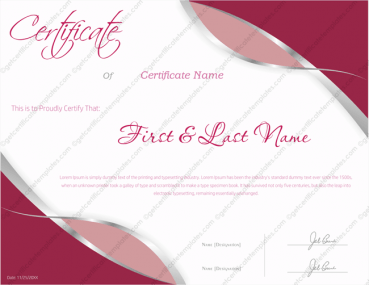 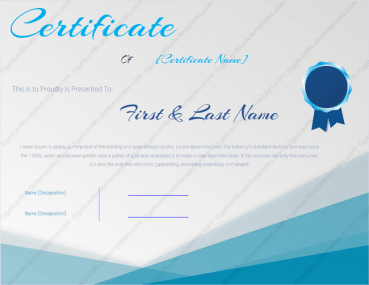 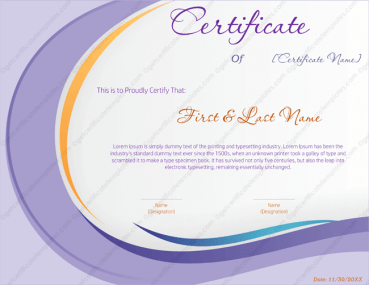 Free to use, and simple to make changes to, you can use this award certificate template over and over again. 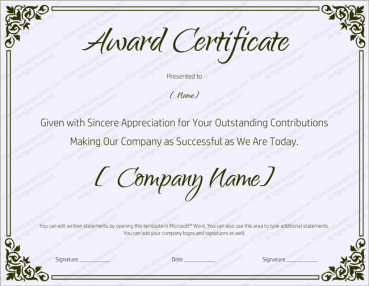 Award all of your employees to show your appreciation when they do something above and beyond their normal duties or for just showing up to work for as long as they have, showing their dedication. 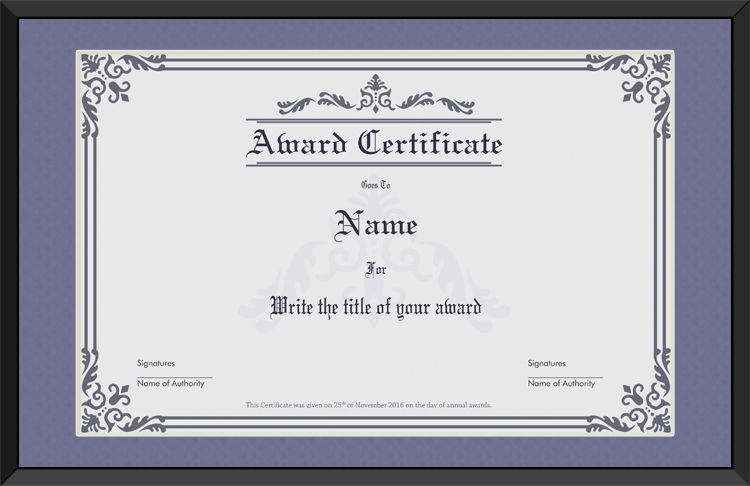 A few clicks on the keyboard allow you to edit the right fields, changing names, and allowing you to place your own title on the award. 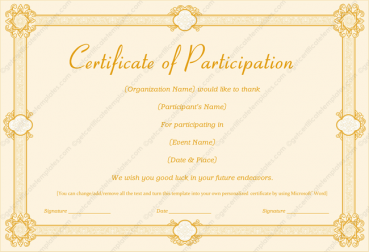 Than all you need to do is print it out and present it to them.